Description: This is a relatively easy 5.2 mile circuit around Great Falls National Park, VA. Like it’s sister park across the river, it has a lot to offer in the way of scenery and history for an area so close to Washington, D.C. Try to plan your visit for early in the day. Pay $4.00/car entrance fee. Turn right immediately after passing the entrance gate and park in the lot closest to the Comfort Station. In another 0.5 miles the Swamp Trail ends at a wide horse trail. Turn right here and climb to the top of the hill. At 0.3 miles from the last trail junction turn left onto Ridge Tr. A fenced in area will be to your left. In another 0.2 miles come to the intersection of an old horse trail on the right The junction with the Old Carriage and Matildaville trail will be close by on the left. Turn right onto the horse trail and follow it to Georgetown Pike (0.2 miles from the last trail junction). Cross Georgetown Pike. Take Care! This is a heavily traveled road. Climb over the guard rail an locate an un-named spur trail that leads down to Difficult Run. Turn left onto Difficult Run Trail. Go under Georgetown Pike. The footpath joins a wider woods road. You can stay on this all the way down to” the Beach” on the Potomac. A more picturesque way is to look for a footpath along the run that weaves in and out of the boulders. Some great photo ops can be had here. At one point there is on 4 foot boulder that you have to climb over but the footpath continues on the other side. In about 0.8 miles after crossing Georgetown Pike pass the Ridge Trail on the left and descend to “The Beach”. This is a great lunch spot. After lunch retrace your steps and turn right onto the Ridge Tr. Reach the top of the Ridge in about 0.5 miles. The trail will turn left onto a wide path. Soon turn right onto a blue blazed footpath. In about 0.4 miles cross a stream on a wooden bridge and turn left. Cross an asphalt road and pick up the River Trail North. Turning right on the trail goes down to the river. In another 0.3 miles, pass the entrance to the Powtowmack Canal and the ruins of Matildaville on the left. Continue up the River Trail 0.6 miles to a couple of great overlooks of the falls. Check out the Visitor’s Center and return to your cars on the main park path. 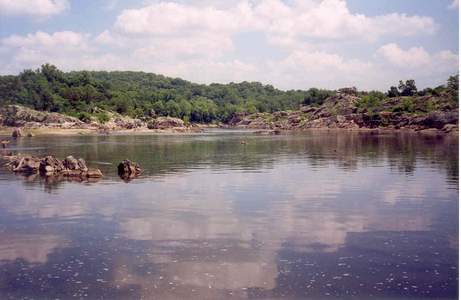 Critique: I'm just starting to get into hiking, and this was my first time at Great Falls. I really enjoyed this trail. It was not very difficult but not boring either. We have had little to no rain lately, so the whole trail was in good shape with only a few wet spots and no really muddy sections. When you enter the actual Difficult Run Loop, there is a barricade and a sign saying the trail is closed. I think there are a few hundred yards of passable trail, and then a section where the trail might have been washed away. You would only be able to continue if you descended about 10' and then ascended approximately the same height to get through the washed out section. This might only require some careful walking along some narrow ledges. The views of the Potomac River are outstanding. There were some rock climbers descending from the rock face about 30 yds from the River Trail. It was an overcast day but it was still really nice to see the rushing river at the base of tall rock faces. We took our sweet time, sat to eat lunch, explored nooks and crannies slightly off the trails, and finished in 4hrs, 15mins. It likely would not be a fun hike following a rainstorm or big thaw. Critique: Overall a great hike. My first hike in over a year and just felt so great I didn't want to stop. The trail is in great condition and the folks along the trail were very friendly. Just a note that the River Trail now has "teal" colored blazes rather than blue. Thanks for the great trail notes. Critique: This was my fiancé's, brothers', and my first hike in Maryland and we could not have asked for a more beautiful day. It was late enough in the year that the trails were not overly busy and the hike itself was great. 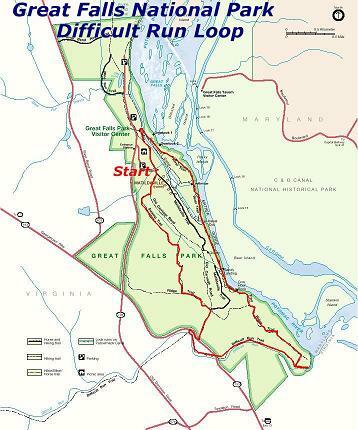 We ended up taking a wrong turn while heading north along the Potomac and had to "rough it" over a hill to get back on trail. 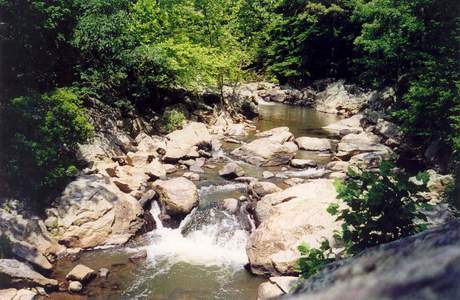 All in all, this is a great hike that is refreshing to find so close to the district! Critique: Well it's been almost 7 months since I could hike so I decided to start again where I started back in August when I first decided to hike again. The winter has had some hard effects on the trail system with some foliage being down on and around the River Trail and the Swamp Trail being hard to follow. It was cold but nice out though so it wasn't too bad of a hike. Someone has went along the River Trail and marked it with a teal (sort of a green/blue) colored blaze so it's no longer "blue" like in the trail notes. Critique: This trail is amazing! This was my first hike in the DC area and found it amazing that there are such beautiful places so close to the city. The people that were out there were friendly and the trails were easy to find and decently marked. The cost to park in the Park is now $5 but it's well worth it. The $5 buys you a three day pass so you can come back and make it a weekend. Thanks for the great directions on the website. Critique: I have done this hike (or a variation of it) about 4 times now. It is hard to ask for anything better so close to the beltway. Expect some big crowds on the weekends when it is nice out. 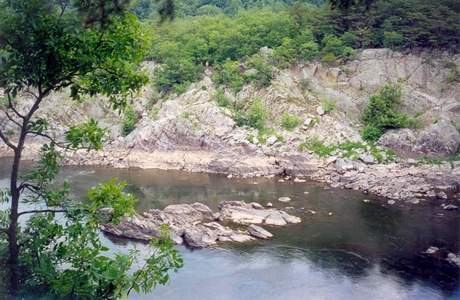 However it is still a very enjoyable hike along the Potomac river and one that I will continue to do because it is convenient. This would also be a great hike for a family because you can cut it short and the trails are typical park/friendly/easy trails. Critique: The only reason this hike got 4/5 instead of 5/5 is the expected crowds along the River Trail. 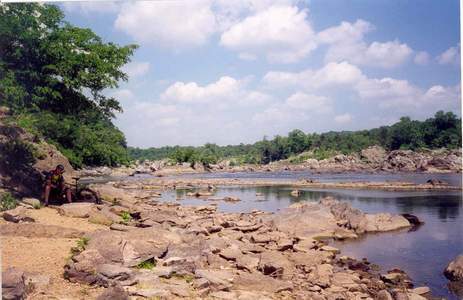 But for stream and river views this is a fantastic little hike just off the Capitol Beltway. There is also side trail just before reaching the Ridge Trail on the Difficult Run Trail (that's a mouthful), that leads down to a narrow gorge section and small waterfall on Difficult Run. Well worth the trip down. Make sure you get to the hike early, the crowds will be there if it's a nice day!